Beginning in early June and stretching into the early days of August you’ll find one of nature’s best seasonal fruits — fresh sweet cherries — which also happen to be a powerful inflammation fighter. In fact, a recent study published in the Journal of Nutrition found that eating sweet Bing cherries can significantly decrease markers of inflammation in the body (like C-reactive protein) and help to prevent chronic inflammatory diseases such as cardiovascular disease, diabetes, arthritis, and certain cancers. And once summer’s over, you can still enjoy the taste and health benefits of this super fruit. Fresh cherries are easy to freeze (simply rinse, pack and freeze) so you can savor them all winter long. Lentils, chickpeas, peas and beans are protein- and fiber-rich and research conducted at Penn State University reported that adding 1 ½ cups of legumes per day (to a calorie-controlled, low Glycemic Index diet) helped reduce inflammatory markers and improved insulin resistance. Another bonus? They’re inexpensive. Use versatile legumes in dips, salads, main dishes or soups, like this Lentil Soup. Mangos are not just nutrient-packed and bursting with color and flavor, research indicates that this tropical fruit may also be a powerful inflammation fighter. One study conducted in 2013 found that compounds in mangos called polyphenols might inhibit the inflammatory response in both cancerous and non-cancerous breast cells. In addition to their potential anti-inflammatory benefits, mangos are a source of over 20 vitamins and minerals, including vitamin A, vitamin C, vitamin B6, folate, and potassium. For a flavorful boost to your next meal, try this Tropical Mango Salsa. This golden-hued spice has long been a staple of Indian cuisine and also has been used in Traditional Chinese and Ayurvedic medicine for thousands of years. Modern-day science is revealing that a compound found in turmeric called curcumin may be the source of its medicinal effects as well as a potent anti-inflammatory agent. Due to its potential inflammation-fighting benefits, scientists are now exploring its use in diseases ranging from rheumatoid arthritis and psoriasis to neurodegenerative conditions like Alzheimer’s disease. 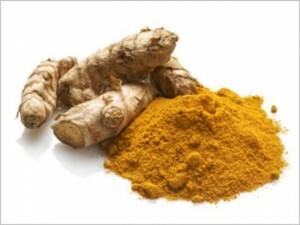 Add tumeric to your next curry or use on chicken or fish before grilling. Ginger has been used to help nausea and pain for centuries. Now modern research is uncovering its potential to temper inflammation. One study compared the effects of ginger extract to placebo in patients with osteoarthritis. The ginger helped reduce pain and stiffness in joints by 40 percent over the placebo. Ongoing research is also investigating the role of ginger to help reduce neuronal inflammation and related declines in memory and cognition. Enjoy ginger in this light and healthy Ginger Shrimp and Broccoli dish. Diets rich in leafy greens are associated with lower rates of certain cancers, heart disease, and other inflammation-related diseases because leafy greens provide anti-inflammatory benefits. Kale, spinach, watercress, collard greens and broccoli are also some of the most nutrient-rich foods you can eat. .Aim for at least 2-3 cups of greens each day and add them to omelets, smoothies, stirfrys, and salads. For a perfect sweet and savory side, try this Kale and Orange Salad.